The total solar eclipse on August 21, 2017 will be an awe inspiring sight, especially for our local city. Nashville will actually be located on the path of totality; the largest city in the USA that will go dark! The last total solar eclipse that was visible across the entire U.S. was in 1918, nearly 100 years ago. Nashville will have multitudes of special events and viewing parties for skywatchers to attend. If you plan to host a solar eclipse party you will need to please your hungry guests. Why not do that with star shaped foods, a glowing cake, and galactic desserts? This recipe roundup with be sure to satisfy their sweet tooth, while rounding it out with delicate finger foods, and a fresh salad. Let your tasty treats shine for themselves! This Galactic treat has a similar texture and taste to a gooey crispy treat. Then you add in the creamy, salty caramel and a blanket of milk chocolate, which makes you sore to the stars. Crispy, crunchy, gooey, AND chewy... this crunchy snack will definitely bring back fond memories as a child! And the star sprinkles really give it the extra touch! These star shaped tortillas are simple and easy to make. They take less than 20 minutes and are a great salty snack. Do not overcook... nobody likes burnt stars. 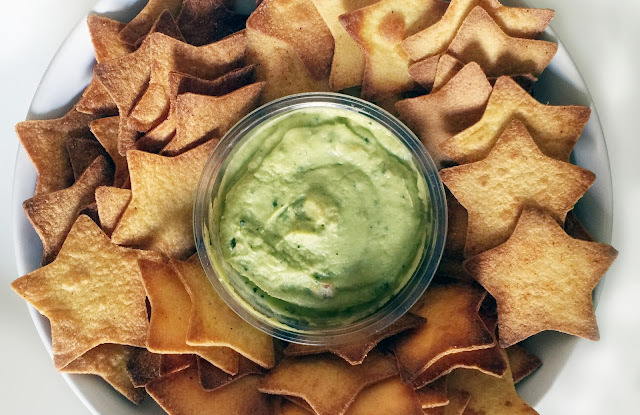 Feel free to combine with any creamy dip or salsa! It would be a great combo with the Sun-Dried Spinach & Artichoke Chicken (see below)! A spinach pie is sure to brighten up any solar eclipse party! It looks beautiful and smells out of this world! This cheesy flaky experience will not let any of your guests stop at one bite. A New York originated delicacy displays two icings atop of a cakey cookie. This cookie tastes like a rich, spongy chocolate devil’s food cake mixed with genuine buttercream frosting. It fits perfectly with the eclipse party, especially for those experiencing a partial eclipse. This recipe is light and refreshing. It will spice up any summer event, even better a solar eclipse party! It has a balance of zest from the citrus fruits and spice from paprika, pepper, and cayenne. It pairs best with toasted or grilled pita, cut into the shape of a triangle. The presentation is colorful and looks just like a sun! The glowing cake will be perfect when the sky goes dark! It is time consuming but has an amazing end result. The starburst pattern on the cake gives the illuminating appearance of an eclipse. Pretty neat! The recipe does call for a brand name sauce Bravado, however feel free to develop your own sauce. Sauce should include: pineapple, habanero, yellow bell pepper, white wine vinegar, garlic, and sea salt. Have fun and experiment! 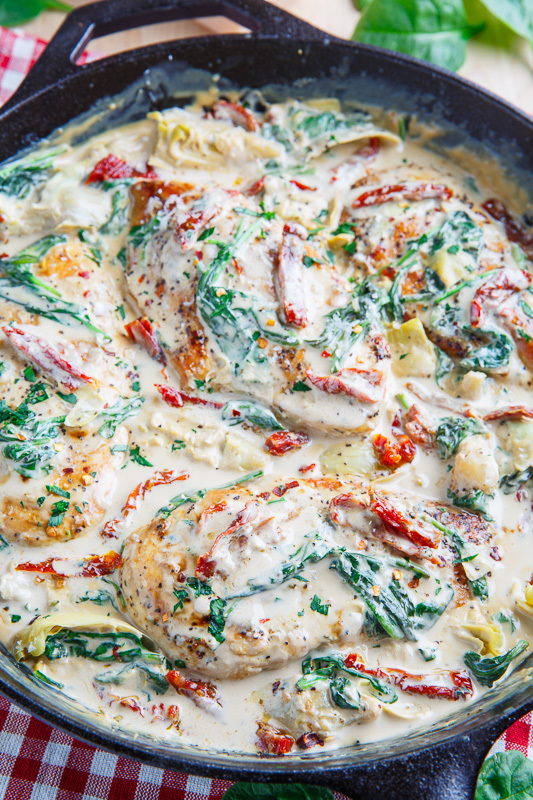 A quick and easy, spinach and artichoke chicken with sundried tomatoes dish! All of the flavors of spinach and artichoke dip in a light and tasty chicken meal OR DIP. This recipe is described as a main entree, however it can be turned into a dip. Pair the dish with toasted pita chips or other bread to be a great sharing plate. I'm Sara, and currently at the tail end of my dietetic internship with Meredith College. I am thrilled to share my excitement about nutrition with the world, while serving as an advocate for healthy eating and living. I am a foodie at heart, a lover of travel, hyped about fitness, and recently found a passion in recipe development. Sharing my ideas of a balanced diet and progressive exercise routine has always been a part of my life.